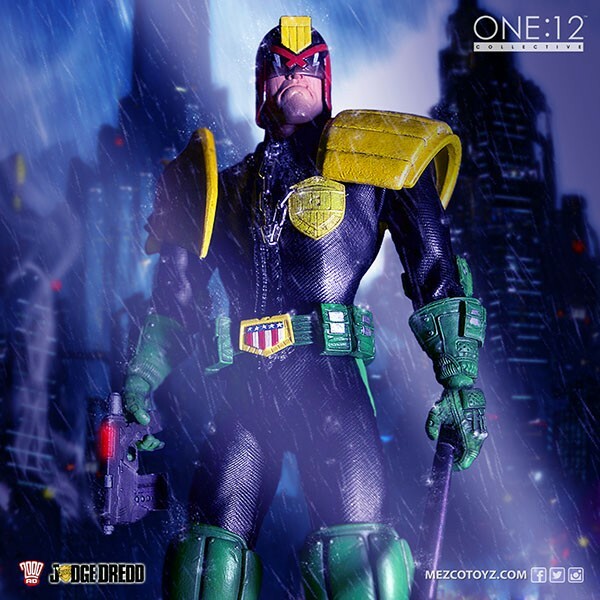 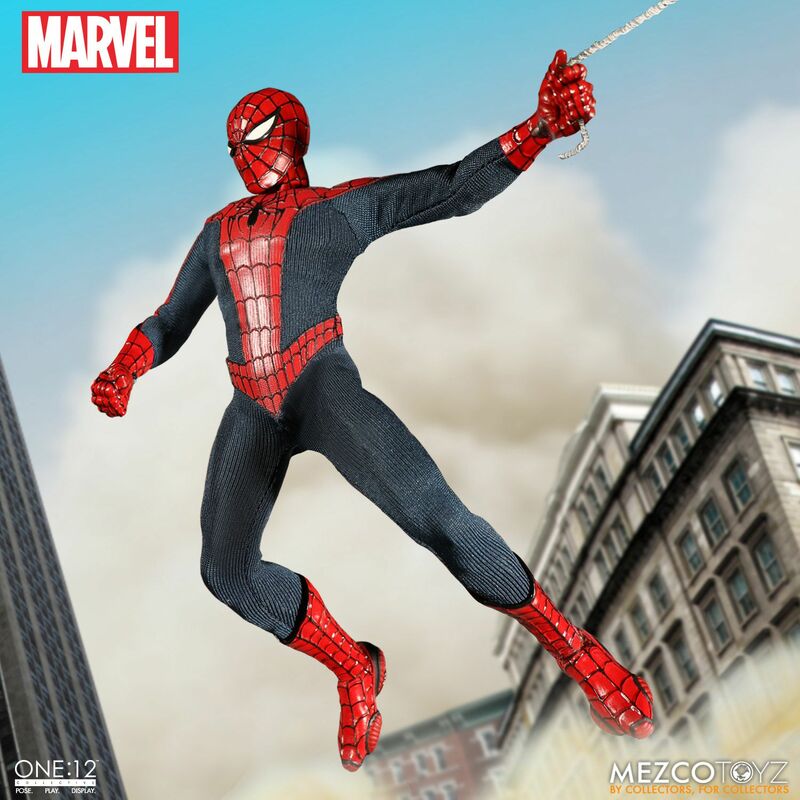 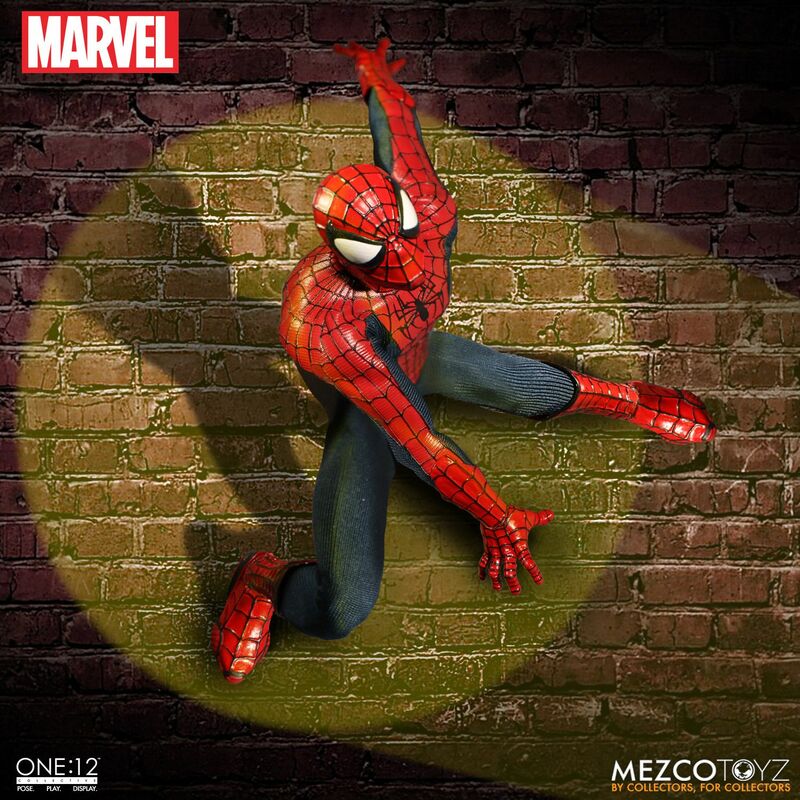 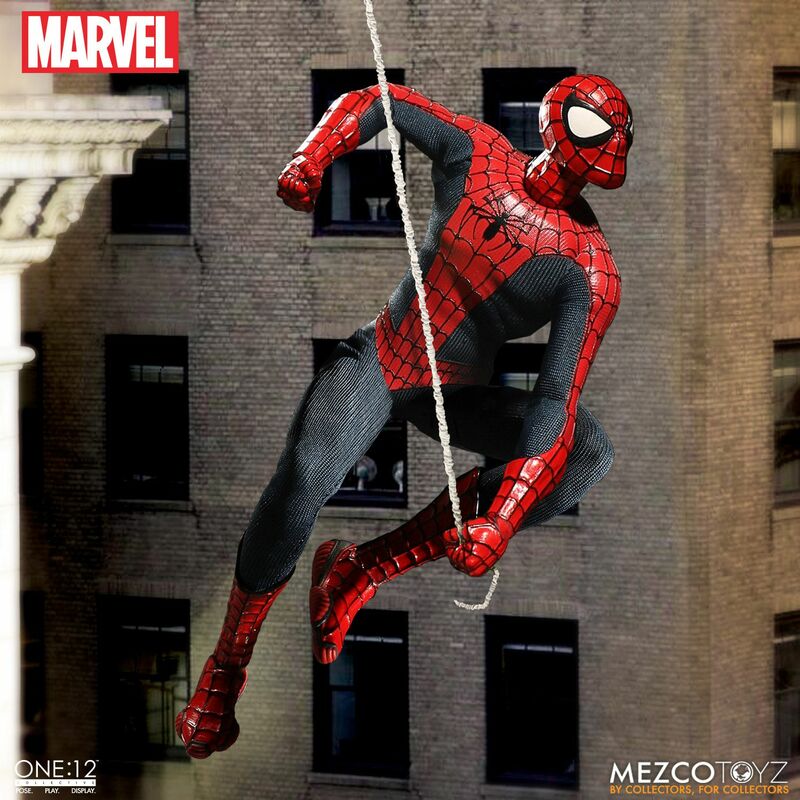 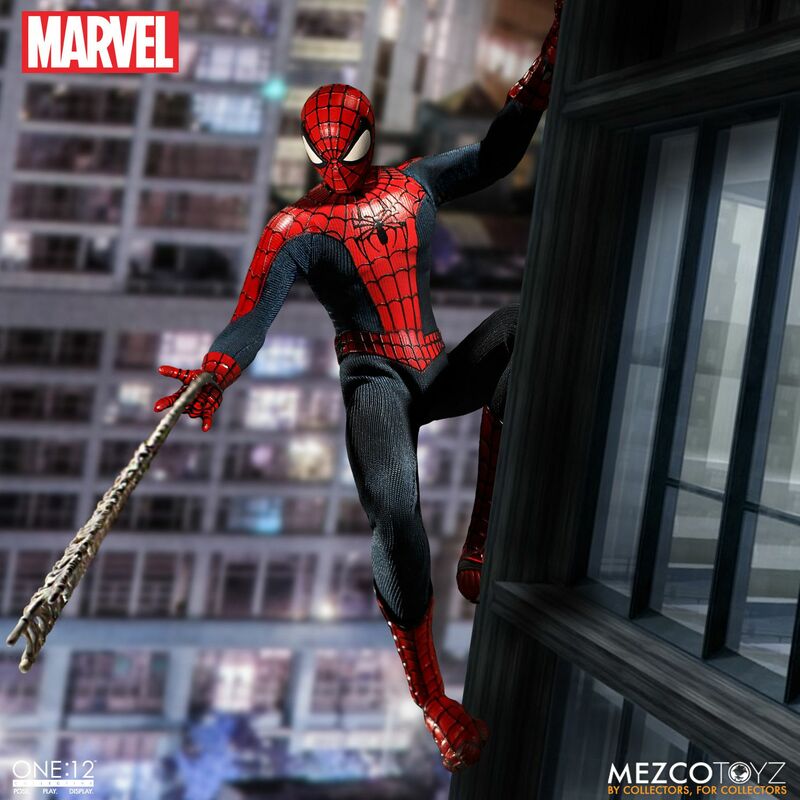 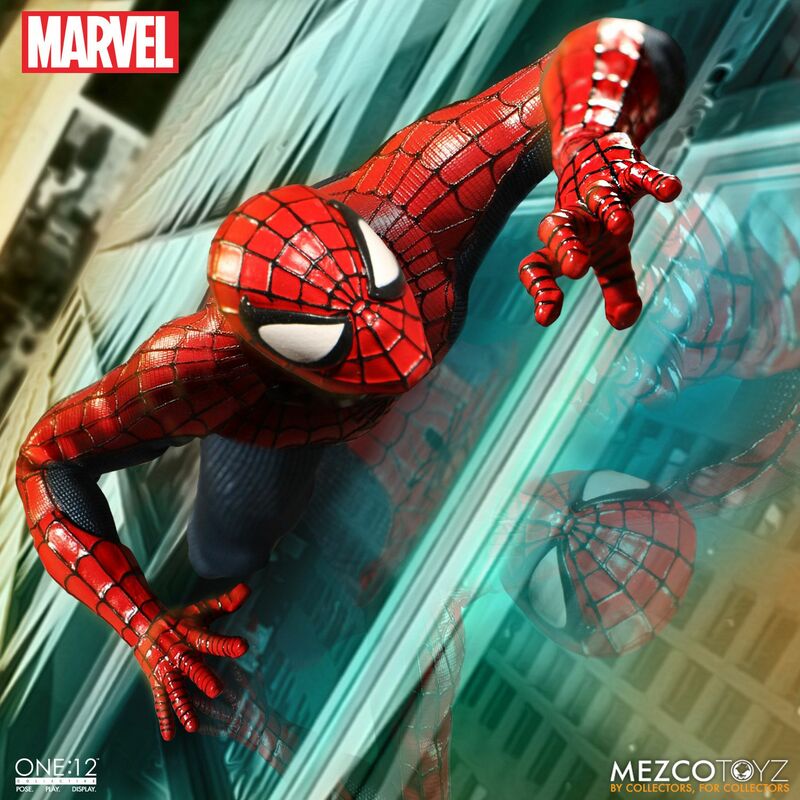 Your friendly neighborhood Spider-Man swings into the One:12 Collective from Mezco Toyz! 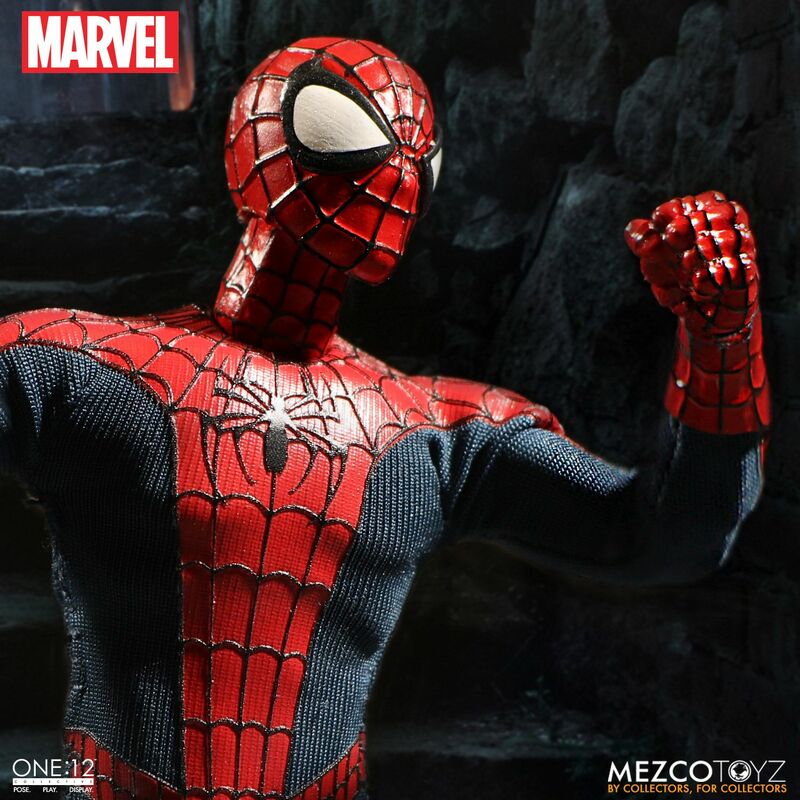 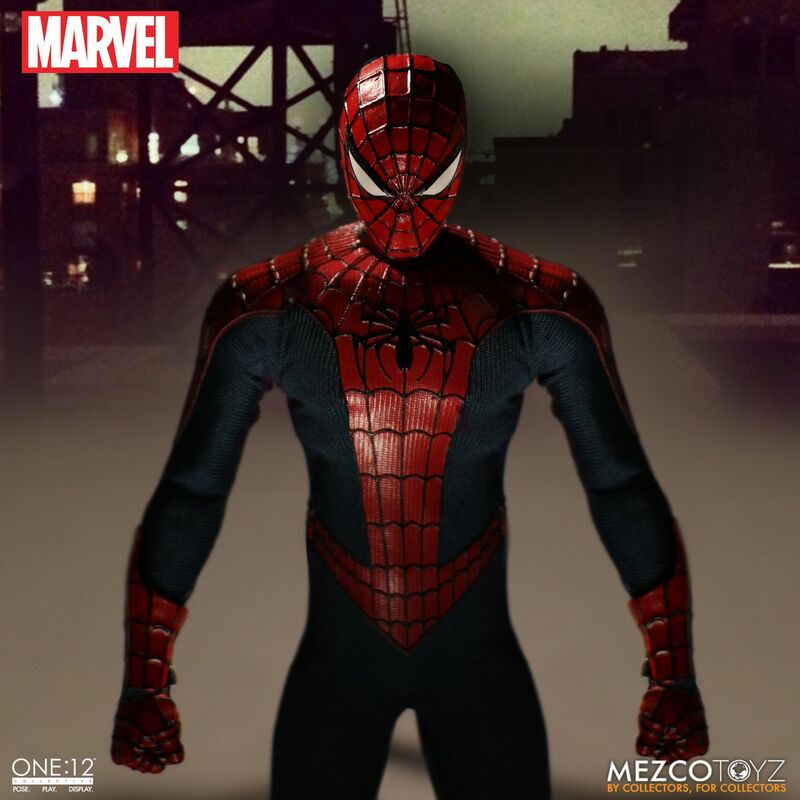 Assembled on an all new One:12 Collective body developed specifically for this figure, Spider-Man features over 30 points of articulation and a meticulously tailored outfit with intricate silk screened details. 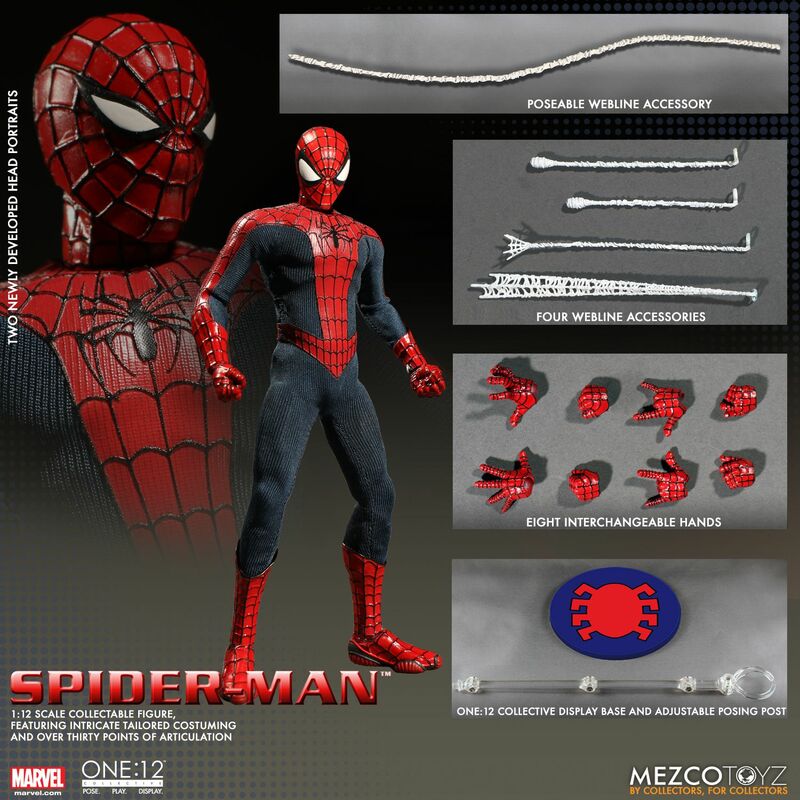 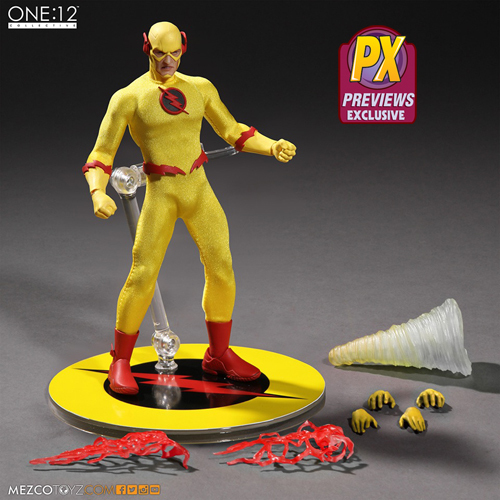 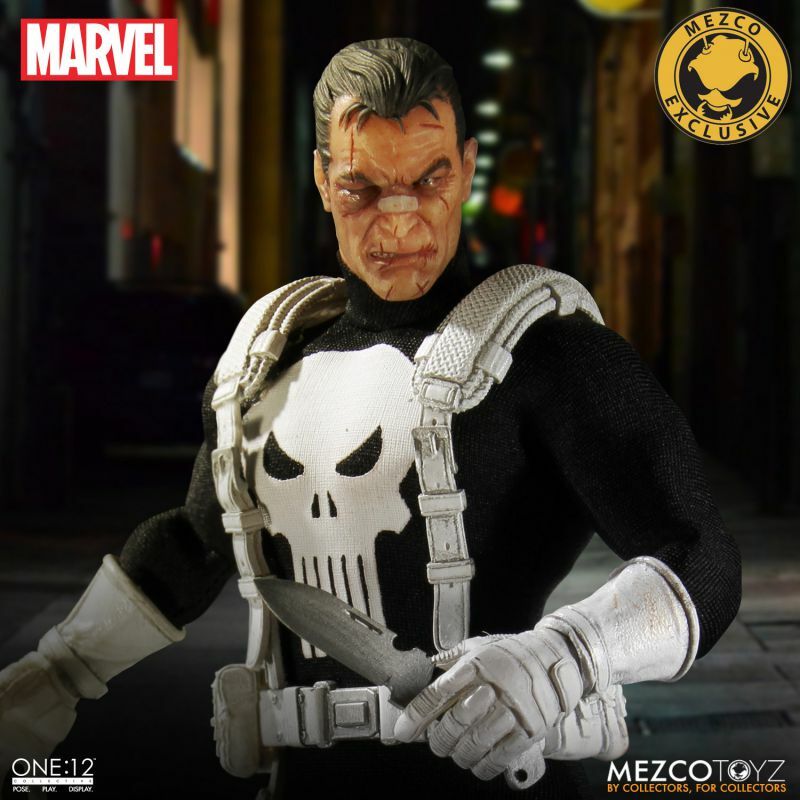 He includes multiple interchangeable parts and accessories including an alternate head piece for different display options. 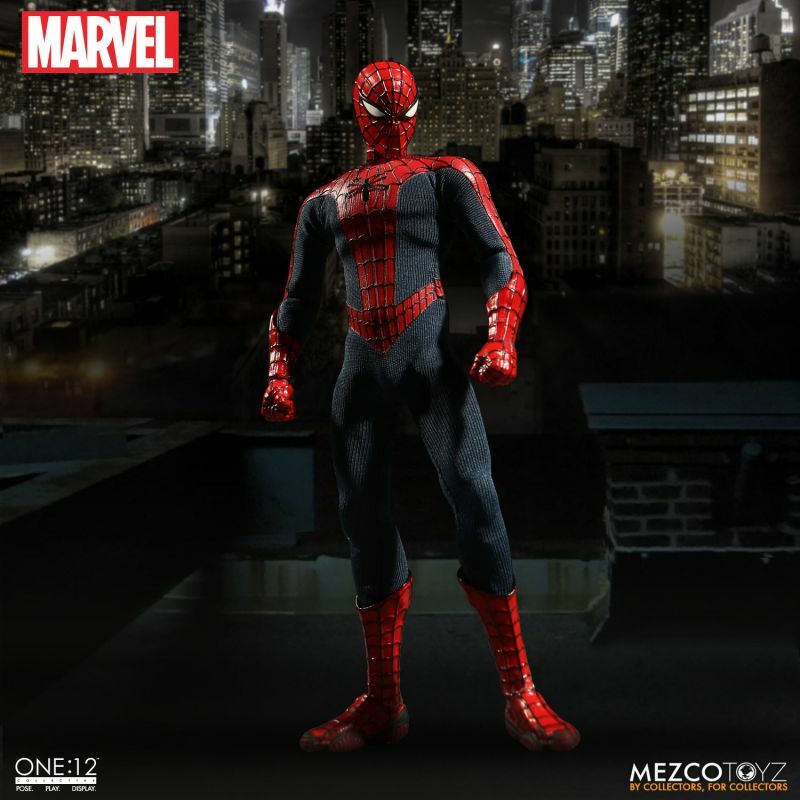 Preorder your own One:12 Collective Marvel Spider-Man Action Figure now at your local comic shop!